Some of the plants that didn’t sell got too big for their little pots so I decided I would go all-out and plant about thirty of them in my fall garden. That means I’m raking in plenty of peppers right now. 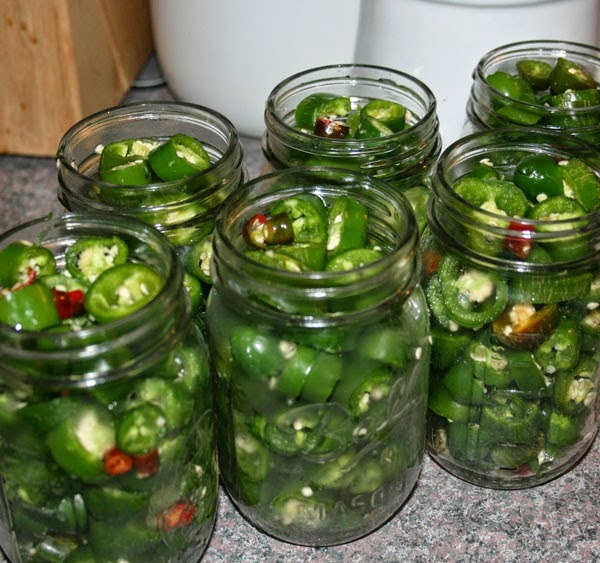 I’m making my own ground red pepper, of course, but I’ve also been experimenting with canning my own jalapeno slices (I started with this simple recipe I found online, then expanded on it). The flavor… oh my goodness… the flavor. 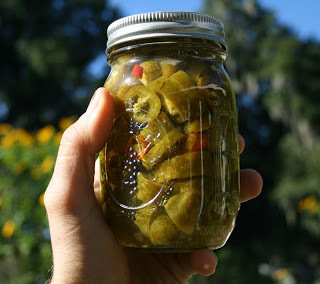 These pickled jalapeno pepper slices are incredibly good. Are you ready to can your own? Here’s how I do them. Note: Before step one, wash your canning jars and lids so they’re ready to go. That’s about 4-5lbs of Jalapenos. Two weeks later, I picked another 4-5 lbs. Yeah, that’s the way we roll in my garden. 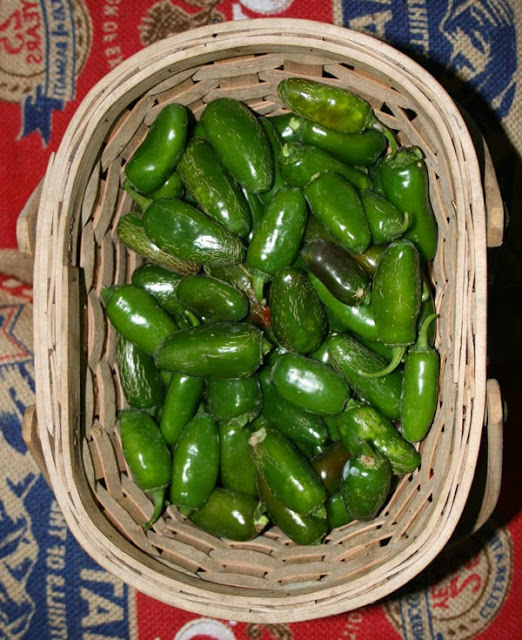 One thing that’s amazing about homegrown jalapenos is how crisp and juicy they are. The quality you’ll get from your garden is far beyond what you can buy. 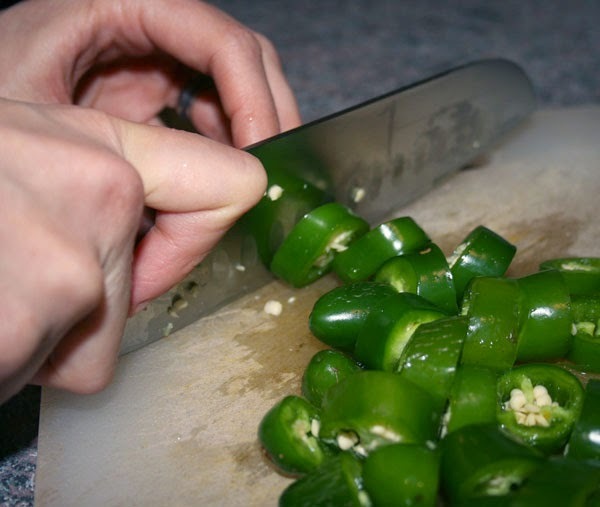 Pack in the jalapenos as tightly as possible, then mash them down further and pack a few more in. Otherwise, when the jar is canned they’ll get a little thin as they cook. Having one of those mason jar funnels is a big help at this point. 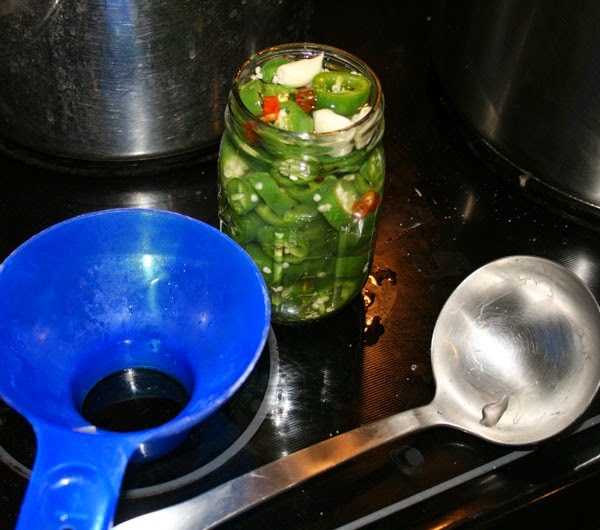 Load the jars up with brine to about 1/4″ from the top of the jar. Make sure you jog them around a bit since bubbles tend to hide inside the slices. Add more brine as necessary. Screw the lids down tight and you’re ready for the final step. 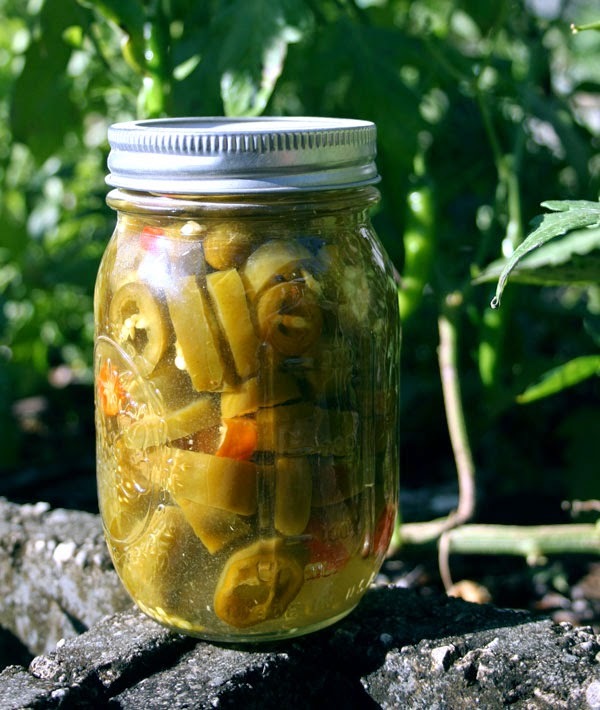 Canning is easy when you’re dealing with pickles. You’re not going to get a horrible disease if you mess it up, since the vinegar keeps the food good and safe. 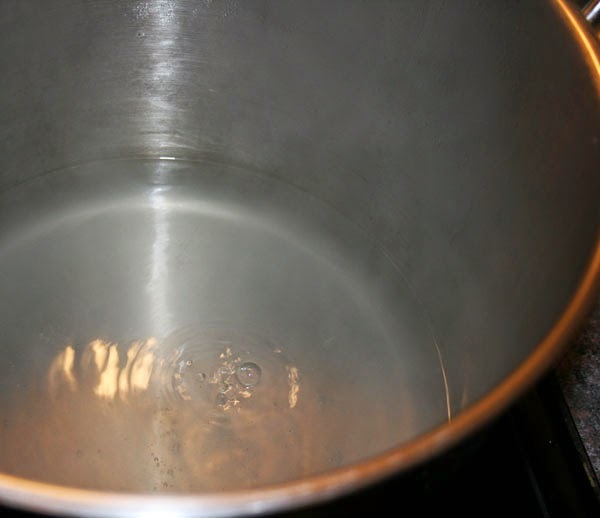 I boil my pepper pint jars for 10 minutes in my excellent stock pot. Note: if you’re scared of canning, just pop your jars into the refrigerator. They’ll keep for longer than you think, thanks to the vinegar. I hope he’s still alive. It is hard to tell from the picture, but is the water above the jars in canning? Just regular water bath canning? Yes on both. 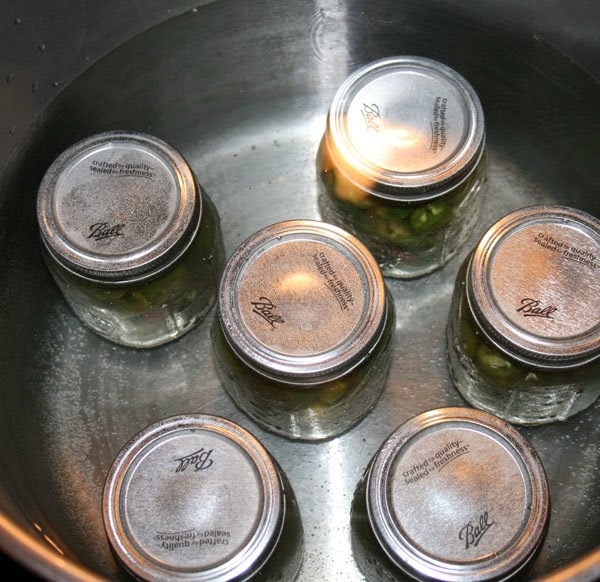 Because they’re jarred in vinegar, there’s no need for the high heat of a pressure canner.